Are you after a suitable alternative to tents or swags? Maybe you’ve got a wagon or mid-sized SUV. 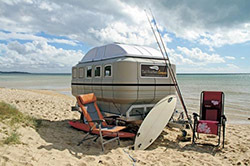 Perhaps you’re simply sick of massive camper trailers that seem to have everything AND the kitchen sink jammed into them. Whatever your reason for looking at purchasing a smaller, more lightweight and compact camper trailer, it’s safe to say there’s truly never been a better time to buy. Not only are many smaller rigs ideal as entry level campers - perfect for testing out whether the great outdoor lifestyle is for you - they often come with a much more attractive price point. And the popular belief that smaller campers are somehow lacking in features and extras that are often commonplace in bigger campers? Not true. 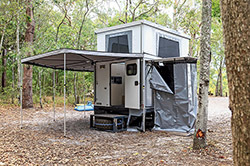 You’ll be surprised to discover the innovative and space-saving ways modern smaller rigs are set up to ensure that they have all the up-to-date comforts of any other camper. When it comes to the following campers, it’s obvious bigger doesn’t always mean best. These are the type of campers that are easy to tow, durable, innovative and will pretty much follow you along any track you’re game enough to go down. Their compact simplicity might even inspire you to take the plunge and get one of your own. 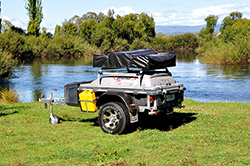 The Stockman RoofTop Camper is strong, practical, easy to erect and only weighs 400kg. 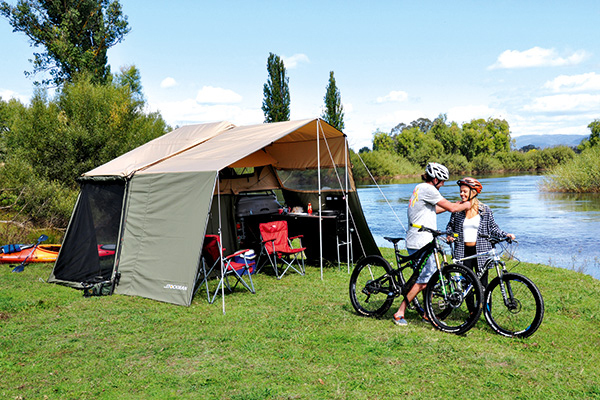 For those who want an easy to set up, surprisingly affordable camper trailer that’ll work its way down any track, the Maverick makes a hell of an option. 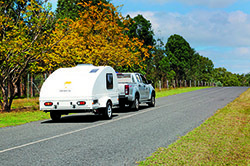 The new Taipan Tucana teardrop is comfortable to tow and easy on the eye and perfect for quick overnight stops. 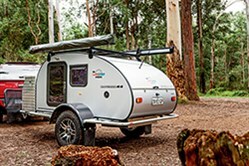 With its innovative modular design, this little Tail Feather Campers camper trailer is set to shake the lightweight market. 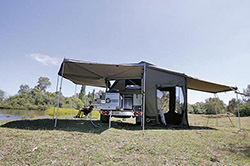 The Kelly Campers Glenrowan II is a compact hybrid camper, with a bunch of luxuries and all the basics needed to make it a mobile home anywhere in the bush. 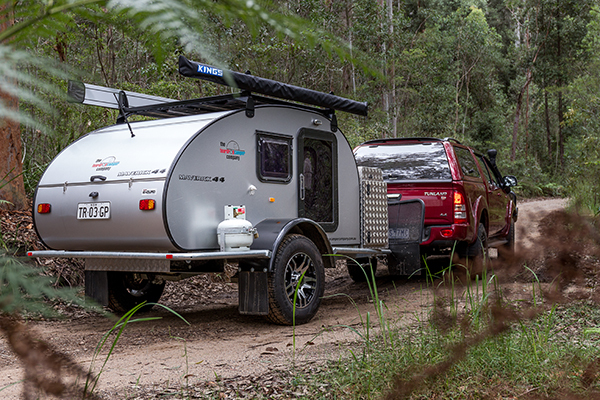 The X2 meets the brief for a value-packed expertly engineered, well finished and lightweight offroad camper trailer.